It’s nothing new. But it’s revolutionary. An all-in-one toilet that is low-cost and easy to buy. In 2010, more than 75% of Cambodia’s rural population was defecating outdoors. Near the rice and vegetable fields. By the rivers and lakes. Thousands of children died every year from contaminated food and drinking water. We needed to make a change. We needed a smart solution that would get people buying toilets. The end design looks like many other toilets. A pan, a chamber box, a pipe and receptacle. We didn’t change the design. We revolutionized the way it’s purchased. 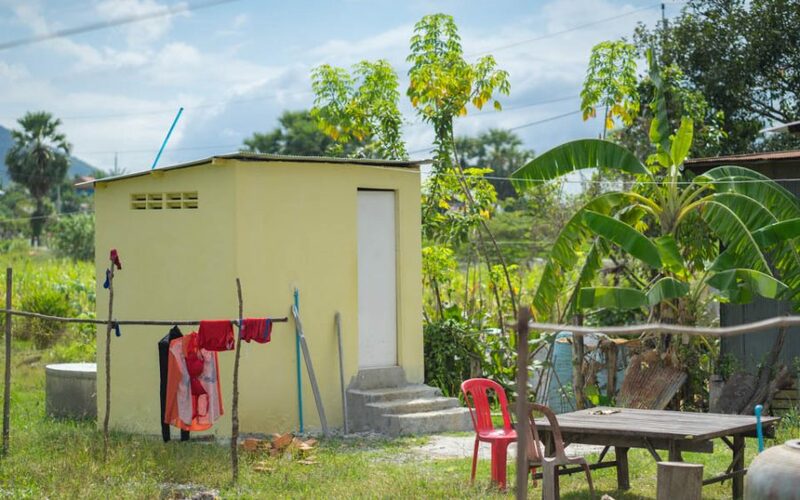 More affordable than ever, the modern pour-flush toilet can now be purchased in one-stop shops across Cambodia. Simple to buy. Quick to install.